The second half of the stage adaptation of the novel by Charles Dickens. 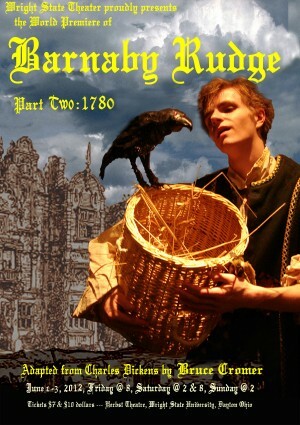 Set in 18th century London and the surrounding countryside, BARNABY RUDGE is the story of the simple-minded Barnaby and his mother, endangered by a mysterious Stranger. Rioting mobs and violence endanger the four families met in Part One. Dickens' horror, humor, and humanity fill the intimate Herbst stage, as fifteen actors play over thirty characters!!! June 1 & 2, 2012, at 8 p.m., and June 2 & 3, 2012, at 2 p.m.